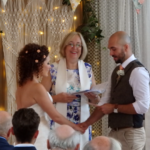 Writing your own wedding vows is a really lovely thing to do. 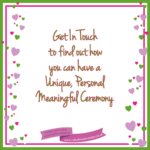 It can play a big part in personalising your wedding ceremony. However, sometimes people find that just sitting down with a blank sheet of paper isn’t all that helpful. 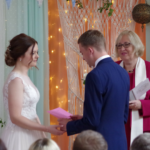 Looking at other people’s vows can be helpful as can looking at different love quotes. 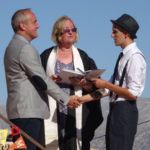 You may also want to see the earlier blog here on “A simple way to write your wedding vows”. Don’t try to fit a whole load of quotes into your vows. You want them to be about you and your partner and they should relate to your love and your life together. However popular quotes can help you to find ways to talk about what your love and your marriage mean to you. If you look at some humorous quotes it may remind you of things in your relationship you feel are not the easiest but you believe your love overcomes. Quotes can also help you to think about what is really special about your partner and how you felt when you first met. 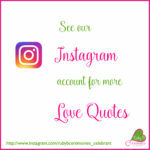 See our Instagram account for lots more Love Quotes. ← Help! Where are the bridesmaids in the walk down the aisle?